It's the ideal time to make something for you. 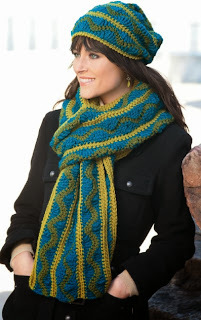 with various weights of yarn are fashionable accents, perfect for any wardrobe. There is a design perfect for any woman. a chic brimmed cap, and a trendy chullo. with a few intermediate thrown in. new and unique design to each piece. I can see this looking fantastic in lots of different colours. I think it will really set-off a winter outfit. and easy to follow instructions. They would be ideal for yourself or as a present for someone. They will certainly keep you warm this winter. At that price with all those designs you really can't complain!